Piwania Technologies is the leading IT Company based in Delhi, India, providing Social Media Optimization services. With the discovery of the power of Social Media, the sphere of Internet has taken a new dimension, spelling out so many advantages for businesses around the world. Social media is used to establish vast user networks, sharing the content, opinions, views, and encouraging interaction and community building via social media channels like Twitter, Facebook, Orkut, and many more. Piwania Technologies, an expert Social Media Marketing services provider, extends the notion and offers a wide range of social media marketing strategies to develop a more rewarding communication platform between seller and consumers. Social media optimization is a methodology of social media activity with the objective of attracting large traffic to website content. Social Media Optimization is one of many online methods of website optimization. One of the many other methods of Social Media Optimization is search engine optimization or SEO. Social Media Optimization facilitates us to position your brand to your customers on their own terms and in their environment which results in a more genuine marketing message. Social media features added to the content itself, including: RSS feeds, social news and sharing buttons, user rating and polling tools, and incorporating third-party community functionalities like images and videos. Social Media Marketing is a recent phenomenon yet it has gained much popularity as an economical way of spreading your business network across the world. This renders into increased lead generation if you can get professional services to optimize and make your presence felt on the World Wide Web. Social media optimization also known as social SEO is a method of social media activity with the intent of attracting unique visitors to website content. 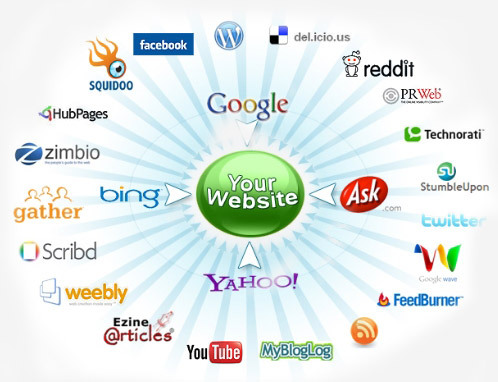 SMO is one of many online methods of website optimization. One of the many other methods is search engine optimization or SEO. Social media optimization builds bridges between brands and customers, starts enduring conversations about brands in the Internet ecosystem to garner greater and more comprehensive brand visibility. We are an IT company specializing in social media optimization, strategy and social media marketing. We work as catalysts to push your message out into the social media stratosphere where it is appropriated and carried forward by the social media natives - the millions of users who rely upon social media to power their lives. Our Social Media Marketing experts and Social Media Optimization experts get your profiles created on major social networking sites like Facebook, LinkedIn, MySpace, Twitter etc and promote your company on these sites to offer you an opportunity to engage with clients on a one-to-one basis. By executing a series of social network marketing and optimization services and attempting to optimally leveraging the massive marketing scope of the popular, genuine professional and social networks, we help you with reaching out to the biggest platform of targeted audiences and create extensive Friend’s Network. Selecting the most cost-effective keywords or key phrases and pay per click optimization. Designing and writing effective landing pages. Consulting and research services to achieve marketing goals.